Tickets are now on sale online for the first A&M Mardi Gras Parade Viewing Party benefitting the George P. Mitchell Society of Texas A&M University at Galveston. The Mardi Gras Parade Viewing Party is Saturday, Feb. 14 beginning at 6 p.m. in The Tremont Ballroom and is entirely underwritten by The Tremont House, A Wyndham Grand® Hotel. Individual tickets for the party are $125 per person for open seating or start at $1500 for a sponsored table. Admission includes a Cajun themed buffet, open bar, live music by The Line Up and a premier view of the Momus Grand Night Parade as it passes in front of the hotel. Guests will have the option to watch the parade from the ballroom balcony or at street level in a gated viewing area. 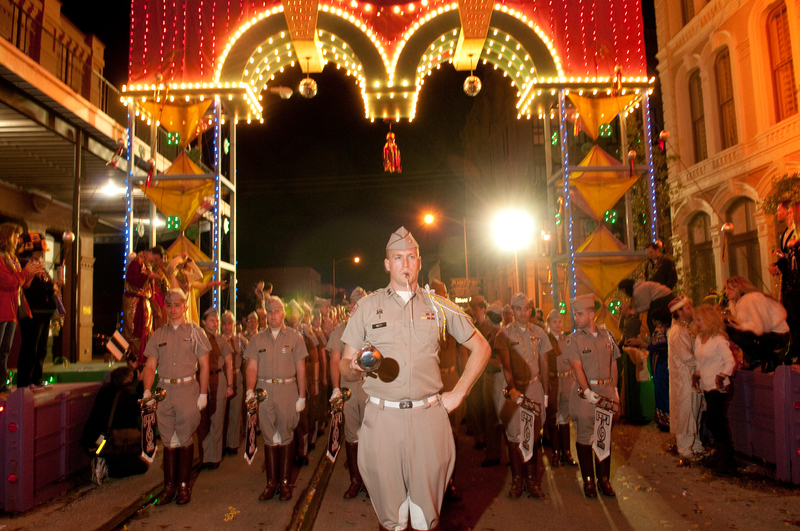 This is the first year for the parade viewing party as The Tremont House transitions its annual Mardi Gras ball to a new event benefitting Texas A&M University at Galveston in memory of hotel owner and 1940 Texas A&M University graduate George P. Mitchell. In contrast to previous years, tickets to the event are separate from the Mardi Gras hotel package and The Tremont House will be open to the public. For hotel reservations, visit www.thetremonthouse.com. Mitchell, who passed away on July 16, 2013, donated the land for Texas A&M University at Galveston’s main campus in his father’s name and has been recognized as the most generous donor in Texas A&M University history. Honorary chairs for the event are Rear Admiral and Mrs. Robert Smith III, USN (Ret), Dr. and Mrs. William Merrell and Mr. and Mrs. Dennis Murphree. Dr. Merrell is a TAMUG professor and George P. Mitchell ’40 Chair in Marine Sciences and Mr. Murphree is chairman of the TAMUG Board of Visitors and CEO of The Southern Funds Group. To purchase tickets or a table, visit www.tamug.edu/mardigras. 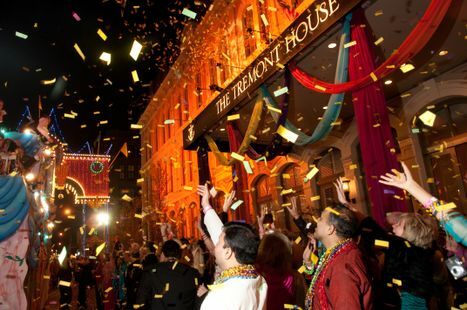 The Tremont House, A Wyndham Grand® Hotel, celebrated its first Mardi Gras Ball and Hotel Grand Opening on Feb. 16, 1985. As The Tremont House approaches its 30th Anniversary, the hotel plans to revive old practices, pass on current rituals, and create new traditions for the future. The George P. Mitchell Society is comprised of individuals and organizations who want the Galveston campus of Texas A&M University to thrive and grow as the only maritime university on the Gulf Coast and one of the premier ocean-front universities of the world. The society supports various efforts in Galveston including scholarships to recruit and retain outstanding students, campus beautification, recognition of outstanding staff and faculty and intercollegiate competition for student teams. Following the lead of George P. Mitchell, members give significant private support to provide the margin of excellence to enhance the entire University, to a level well beyond what can be achieved with State and other standard support. For more information, visit www.tamug.edu/develop/Campaigns/MitchellSociety.html. The Tremont House, A Wyndham Grand® Hotel, is owned by the Cynthia and George Mitchell family as part of Mitchell Historic Properties. The Tremont House is a 119-room boutique style hotel located in the heart of The Strand National Historic Landmark District and Galveston’s Downtown Cultural Arts District. The hotel is in the heart of the Mardi Gas Uptown Entertainment district and features 14,000 sq. ft. of meeting space, a bistro-style café, fitness center and two bars for entertainment – the 1888 Toujouse Bar and The Rooftop Bar. For reservations, call (409) 763-0300 or visit www.TheTremontHouse.com. The first A&M Mardi Gras Parade Viewing Party benefitting the George P. Mitchell Society of Texas A&M University at Galveston and underwritten by The Tremont House, A Wyndham Grand Hotel is planned for Saturday, Feb. 14, 2015. The hotel provides a premier view of Galveston's biggest Mardi Gras Parade. Photo by Kim Christensen. The Fightin' Texas Aggie Band made a stop in front of The Tremont House in honor of 1940 Texas A&M Graduate George P. Mitchell during the 2011 Momus Grand Night Parade. The first A&M Mardi Gras Parade Viewing Party benefitting the George P. Mitchell Society of Texas A&M University at Galveston and underwritten by The Tremont House, A Wyndham Grand Hotel is planned for Saturday, Feb. 14, 2015. Photo by Kim Christensen. The Fightin' Texas Aggie Band made a stop in front of The Tremont House in honor of 1940 Texas A&M Graduate George P. Mitchell during the 2011 Momus Grand Night Parade. The Aggie Band Drum Major is pictured with Dr. William Merrell, Mitchell and then Texas A&M University President R. Bowen Loftin. 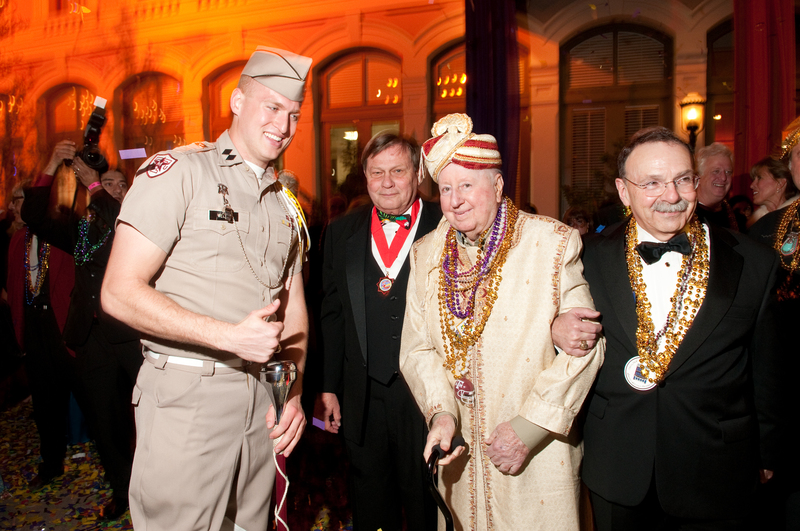 The first A&M Mardi Gras Parade Viewing Party benefitting the George P. Mitchell Society of Texas A&M University at Galveston and underwritten by The Tremont House, A Wyndham Grand Hotel is planned for Saturday, Feb. 14, 2015.